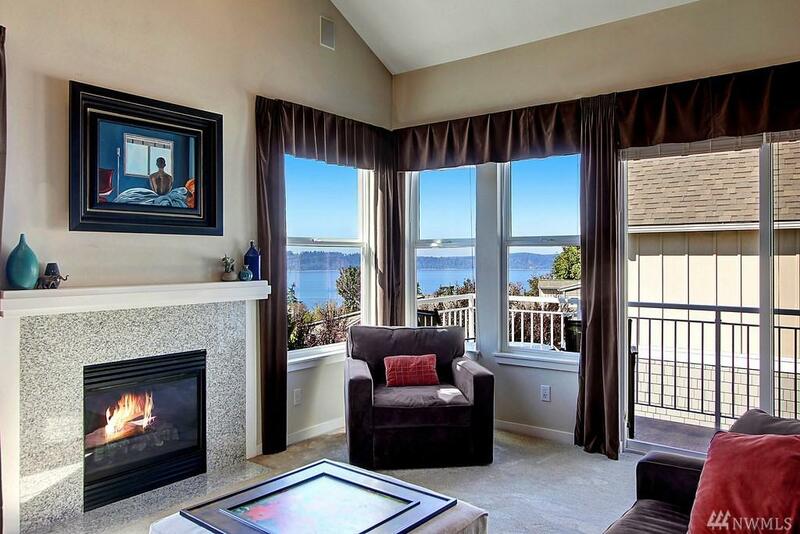 Incredible Puget Sound views! 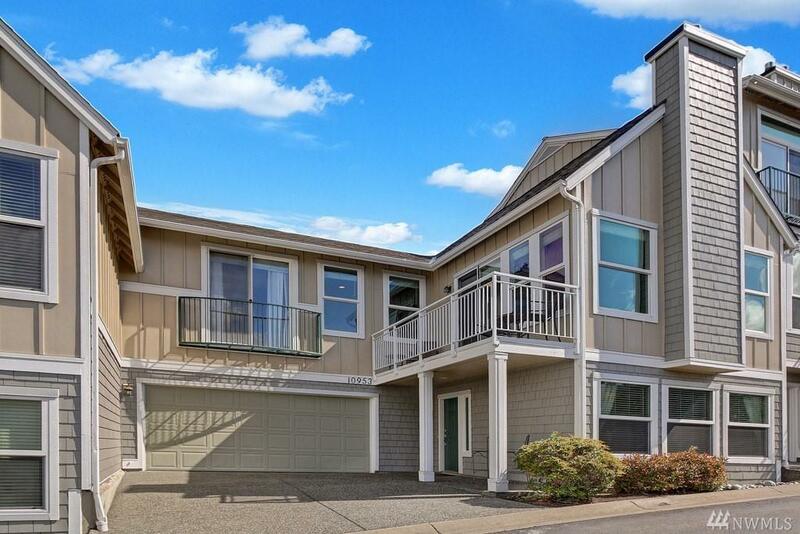 Tons of light, open floor plan with high ceilings throughout. 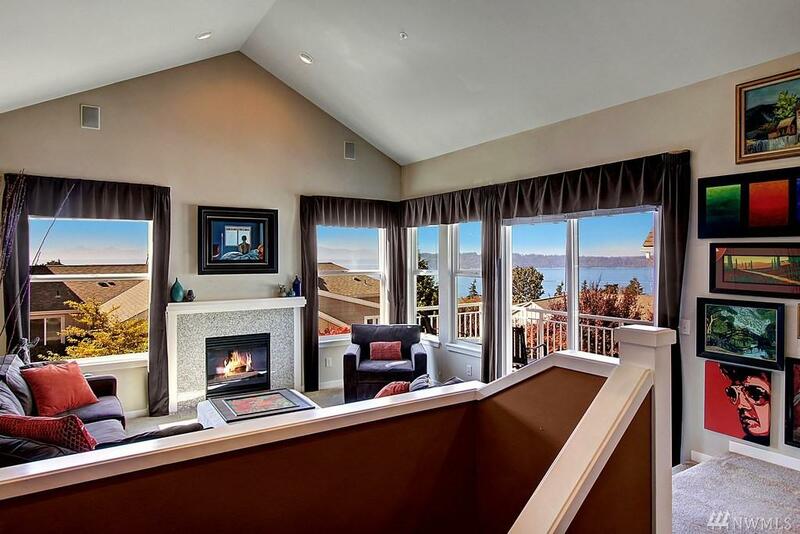 Granite counters, Family room has gas frpl & balcony for those captivating sunsets. Separate dining and bistro bar adjoin kitchen, new stainless steel appl, private garden patio for BBQs. Master boasts cathedral ceilings plus a Romeo & Juliet looking toward the water, en suite bath & double closets, Bonus room. 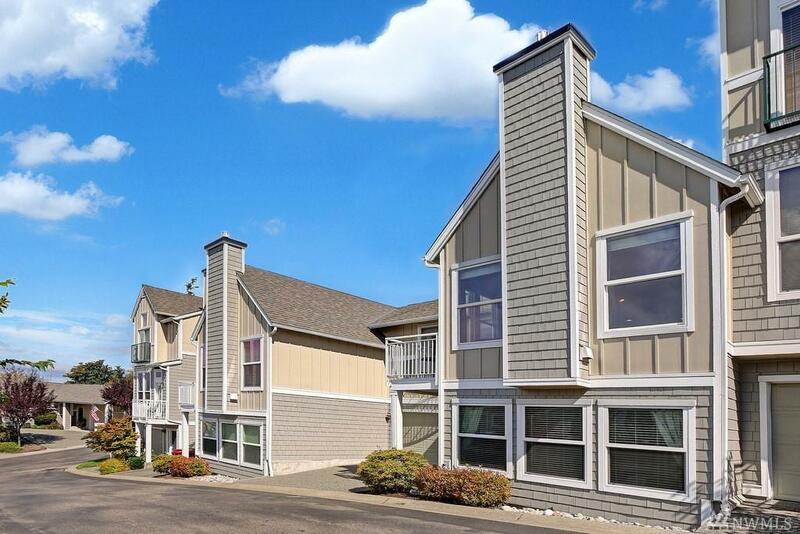 large guest room, Enjoy nearby dining & entertainment, ferry, golf, 2 car gar & 2 extra spots!